As of 2/8/15, ANTOINETTE is 6 months old but the size of a 3 month old kitten. She tested positive for Feline Leukemia and will need to be adopted to a home with other leukemia positive kitties or can be the only cat. It would be wonderful if she has friends like her to play with. She is quite a petite girl and so loving. She was rescued from a local homeless colony and is requiring medical treatment for an infected eye. She was very malnourished when she was rescued, thus her looking like she's a month younger than she is. She is currently in foster care receiving lots of love, socialization and medical attention to help her eye get better. 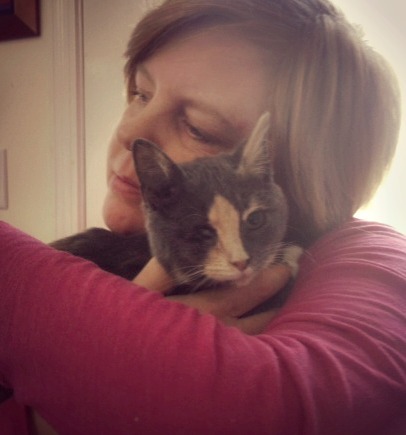 Rescued 12/15/14 became an official Sparkle kitty 1/15/15. 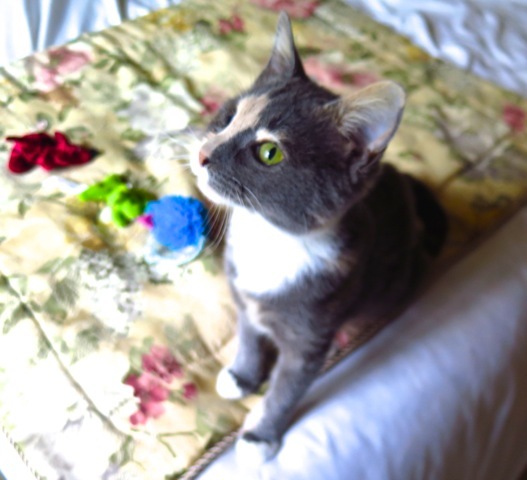 Please consider adopting Antoinette. She is so sweet and will be the love of your life. 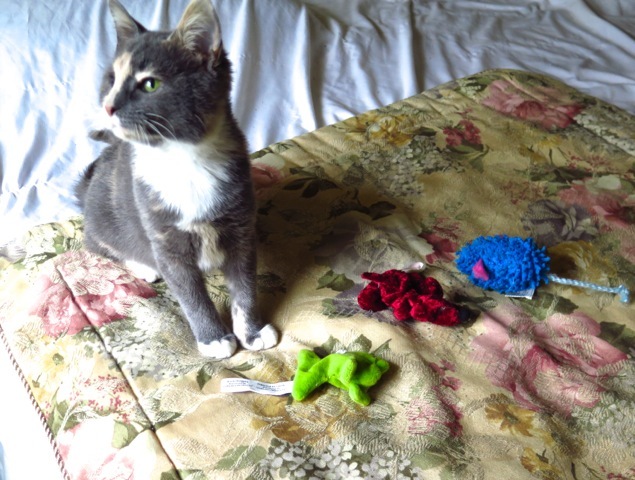 She tested positive for feline leukemia and currently in foster care in isolation from other kitties. She needs a home with another leukemia positive kitty or no kitties due to being leukemia positive. If your cats are up to date and indoor only, they will be safe with her, as she will with them. Feline Leukemia cats can live long lives, but must be kept indoors as their immune systems are weaker than normal cats. Antoinette is spayed and up to date on vaccines. Please consider giving this girl the home she deserves.